Having an excellent product or service is not enough anymore. In a time where uncertainty is the only sure thing on businesses, being able to differentiate with innovative & profitable approaches is the only way to succeed. One of the key assets we can leverage to reach this goal is our business model… but what should be taken into account to design a business model that is able to really transform an entire market?. And most important, ¿what should we do to execute this model in a fast and agile way, getting early insights from our customer to decide it we’re on the right track? In this 1-day hands-on workshop we’ll learn with real-world cases and examples the key elements we should take into account to design an innovative and profitable business model and bring it to market, using a truly practical methodology that will guide you on the steps need to transform an idea to a profitable business model in a fast an inexpensive way. ¿How to decide if you’ve found a problem worth solving? ¿Is there a customer market behind your idea? ¿What are our options to design a profitable income strategy and wich should you choose? ¿How and when to decide if we’ve found a correct business model? ¿How can we validate our business model financials? ¿Where should I begin to execute the model and how to measure it’s performance? ¿What tools should I use on each step? 11:30 Customers: How can we intimate with them, understand their real needs and create a winning value prop? 12:00 Income: How to decide if yours is a profitable and sustainable business model? 13:00 Prioritizing execution: What to do when and where to start from? 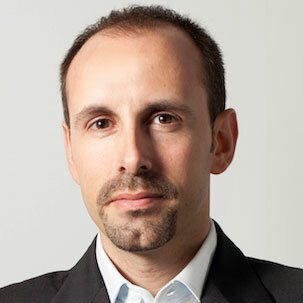 Javier Megias is a renowned strategy and business model expert, passionated about startups and entrepreneurship. He is also board member on several startups, and has held several positions on different companies, ranging from SME’s to global companies. He actually works as independent startup mentor, artisan consultant and professional speaker, what he combines with his angel investment activities.